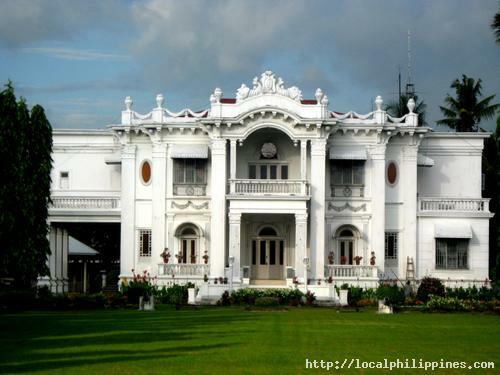 The imposing, Beaux-Arts style ”Nelly Gardens” mansion was built in 1928 by Don Vicente Lopez y Villanueva [ 1879 - 1963 ] and his wife Dona Elena Hofilena y Javelona. It was named for their eldest daughter Nelly. 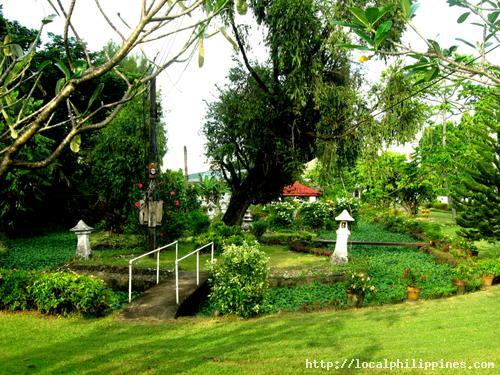 Their first residence was along Calle Iznart, Jaro’s main thoroughfare, but Dona Elena found the street noisy and bothersome, and since she liked flowers, plants, and gardening, Don Vicente decided to build their new residence on four hectares in [ what was then ] the outskirts of Old Jaro. The residence began as a simple two-storey affair that was continually enlarged and embellished as the family grew, as their fortunes multiplied, and as their social obligations increased. Read more about Nelly Gardens. You may want to check out more old houses in Jaro.